Yes Of course! I absolutely LOVE to travel! Yes My husband is my primary associate photographer and he is available in the event I become unavailable. Yes Let's talk through your vision and make it happen! I don't do the traditional posing or give formal directional cues. 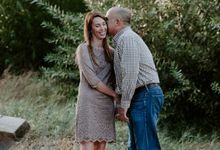 My couples tend to be super in love, very laid back, and tons of fun which produces the most authentic images. If necessary, I give very minimal direction. Candids are the best and I prefer to do lots of them! For weddings, I charge a flat rate for the day. Lifestyle portraiture collections are charged by the hour. My wedding couples receive their wedding day images in a custom online gallery 6-8 weeks from the wedding day. As soon as possible! I book weddings as far out as 18 months! Lifestyle wedding and family photographer for the authentic and deeply in love based in California. Available for weddings and humanitarian projects worldwide.